The LG G Flex2 caused quite a stir at CES in the beginning of 2015 and is only a few weeks away from becoming available on US soil. Sprint will start accepting preorders for the smartphone on February 20, but the device won't make it to users' hands until March 13. The fabulous Volcano Red color option will be exclusive to Sprint, while others will only get the more inconspicuous Platinum Silver. The device will set you back $21 a month over a two year period, for a total of $504. 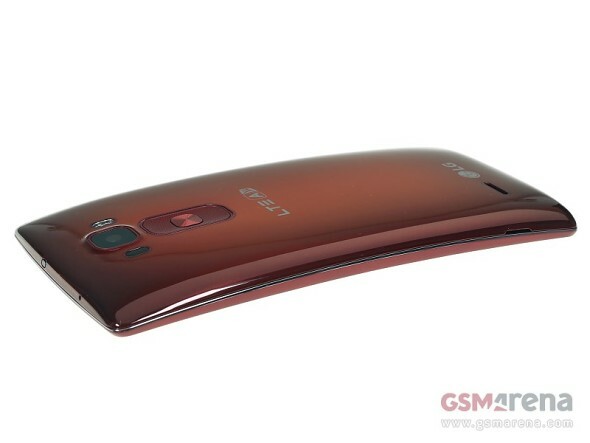 The LG G Flex2 is the first commercially available device, featuring the latest and greatest Snapdragon 810 chipset. 16GB and 32GB of built-in storage options will be in existence, with 2GB and 3GB of RAM respectively, continuing LG's practice to install less operating memory in the base model. The headline feature is of course the FullHD 5.5-inch curved P-OLED display, smaller in size, but superior in resolution to the predecessor. Another LG specialty, the healing back cover is on board as well, in its second generation. By all means check out our comprehensive review of the LG G Flex2, where we examine it in detail and assess its performance. Yes they did,all they had to do was keep it in there back pocket,at no extra cost ! Didn't Apple beat them with the bendy fone?